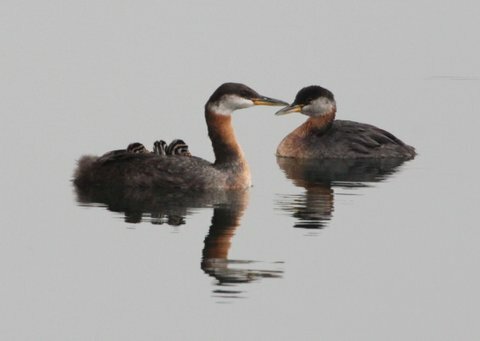 As we anxiously await the arrival of our own breeding pairs of Red Necked Grebes to Sam Smith Park in early spring, there have been some alarming stories of grebes having a really rough time of it this winter. Our frozen Great Lakes effect the migration of grebes. Grebes spend their entire lives in the air or on the water. With so much of the Great Lakes frozen over, grebes are unable to find open water, forcing them to land on hard surface areas. Once on land, Grebes are known as "sitting ducks" because their lobed feet, while suitable for diving, are so far back on their bodies that they cannot walk or take flight again. Toronto Wildlife Centre has declared a "grebe-mageddon" because of the number of trapped or injured birds they are caring for this winter. 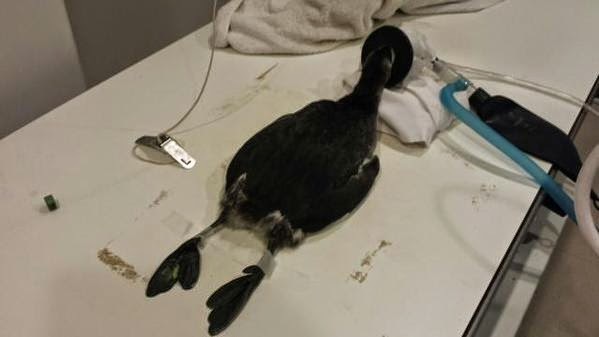 Animal rescue workers in southern Ontario are struggling to keep up with an influx of injured grebes, a species of waterbird that’s fast running out of splashdown spots as the Great Lakes freeze over. Grebes are smaller cousins to the loon. 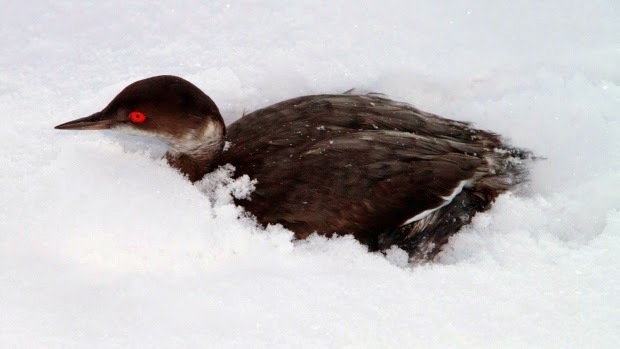 But with more than 80 per cent of the Great Lakes covered in ice, grebes are having a tough time finding open water to land in during Ontario’s deep freeze. That’s forced some grebes to touch down on solid ground, where they lack the ability to walk or take flight again. “If the grebes land on land, they’re dead,” said Gail Lenters, who operates the Shades of Hope Wildlife Refuge, located north of Toronto, near Lake Simcoe. "They can’t move, they can’t get around, they can’t fly. Lenters says grebes migrate south from the Arctic to spend their winters on the Great Lakes, where water at the centre of the lakes typically does not freeze. But that open water did freeze this year, and grebes are having a tougher time finding somewhere safe to come down. She adds that grebes will fall out of the air or come to ground out of exhaustion because they are not used to flying such long distances in search of water. That’s what’s happening to grebes on the shores of Lake Ontario, where rescue organizations like the Toronto Wildlife Centre find themselves taking in several injured birds on a daily basis. Lenters says the Great Lakes don’t typically freeze this much, though there was a similar deep freeze last year. She expects the ice cover will remain until March.